Our longest running and greatest raw soul, r&b, garage and freakbeat weekly dance hall is upgrading! 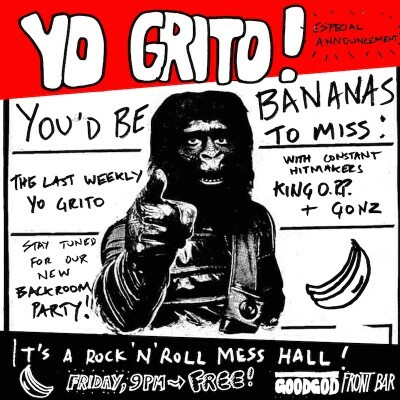 After almost TWO HUNDRED fantastic, floor filling, lost evenings, this Friday will be YO GRITO’s last weekly front bar appearance to make way for their very own danceteria bonanzas! 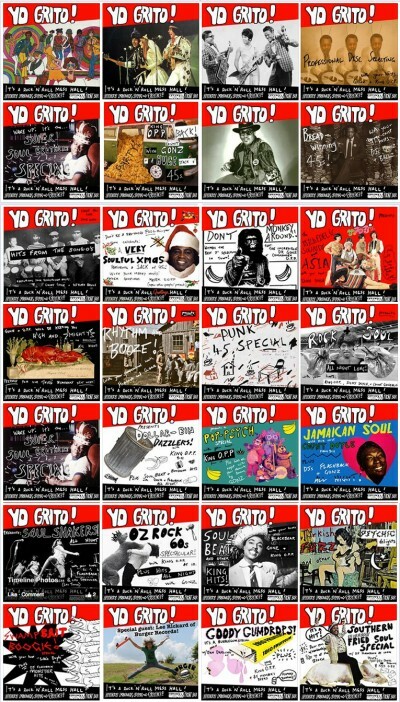 Stay tuned for the COLOSSAL FOURTH BIRTHDAY in the danceteria, with bands, writhing dancefloor, and all the best raw 45s – the Yo Grito! trademark of quality. The final frontear :'( Goodgod’s beloved and Sydney’s favourite and pioneering raw soul, RnB, garage and freakbeat weekly dance hall is all grown up and is flying the coop! 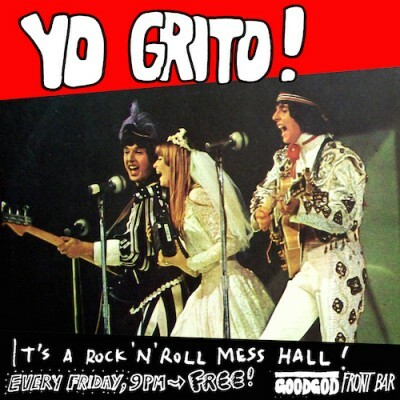 After almost four years of sweaty dance floor heat and hazy blissful memories, this Friday will be YO GRITO‘s last weekly front bar appearance.The Yo Grito! 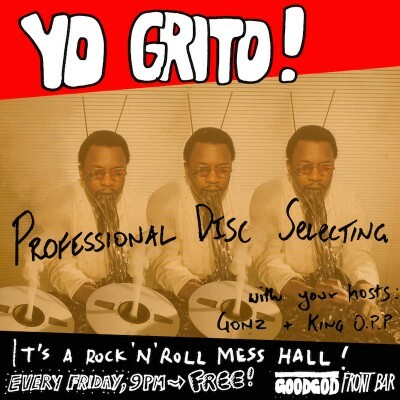 crew won’t be straying far from home though with new rugged Danceteria extravaganzas in the pipeline.Stay tuned for info their COLOSSAL FOURTH BIRTHDAY, with bands, writhing dancefloor and ALL THE BEST RAW 45s – the YO GRITO TRADEMARK OF QUALITY! Peace and love to Goodgod’s son’s of soul. Yo Grito! transforms the Goodgod Front Bar into a Friday night Rock’n’Roll mess hall. Get down to the choicest surf guitar licks, the freakiest of freakbeat, and fuzziest of garage rock, selected by an all-star cast of some of Sydney’s most infamous rock’n’roll characters!